Bran 성 - Vlad the Impaler. Vlad Tepes is said to be the basis for the Dracula legend. This was his 성 in Romania.. HD Wallpaper and background images in the 뱀파이어 club tagged: dracula vampire romania bran castle image picture. This is not the real castle of Vlad. Real castle is called "Poenari" and is located high in Carpathian mountains. It is very hard to reach,and that is why was build castle Bran-for tourists. 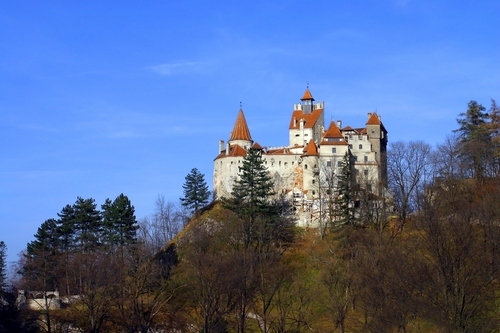 It's more easy to get there,but this is not the original castle of Vlad Tepes.